I took this photo at the Phoenix airport. 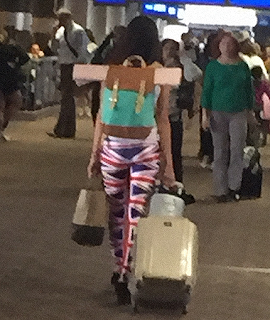 This chic girl is wearing the UK flag legging pants, has her yoga mat on her back pack and has cool black ankle boots. This reminds me of two of my favorite British brands - Jo Malone and REN. 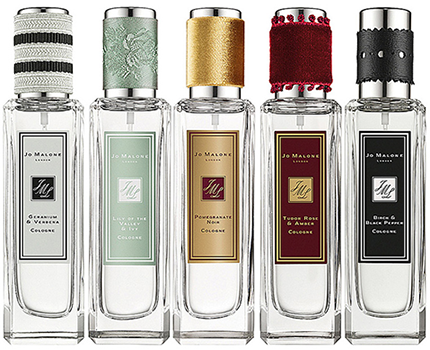 Jo Malone's new Rock the Ages fragrances for spring are to die for. I am especially in love with the Tudor Rose & Amber Cologne ($65) - it's a spicy rose like no other rose, and the Tudors are the ultimate Brits! I love the caps with the ribbons too, mixed textures are so in! And I love REN's Glycol Lactic Radiance Renewal Mask ($55) - an all time customer favorite it smells delicious, has papaya, lemon and grape in it, gently exfoliates and leaves your skin hydrated. Other Brits I love - Jane Austen, David and Victoria Beckham and family, Kate Moss, the Tate, the Stern-Pissarro Gallery and Damien Hirst. And of course the #1 British family of all time.